Barchester Healthcare is celebrating after receiving a prestigious health and safety award from the Royal Society for the Prevention of Accidents (RoSPA). Having previously won two RoSPA ‘Gold’ awards and being ‘Commended’ in the whole care sector, Barchester has this year received the Healthcare Services Award: Highly Commended. Dr Pete Calveley, CEO at Barchester Healthcare, said: “The safety of our residents, patients and staff is always our first consideration and so we are especially proud that our work in this area is recognised by RoSPA. 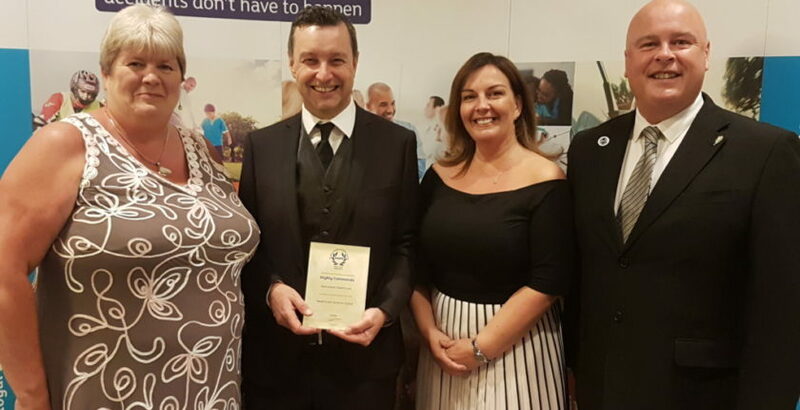 Paul Mason, Director of Health and Safety at Barchester, said: “We are delighted to have received such a prestigious award, in recognition for maintaining the highest level of health and safety management throughout Barchester homes and hospitals.